A correct iPhone configuration is critical for users who need Office 365 mailbox access. While the setup isn't difficult, it's not very intuitive either. 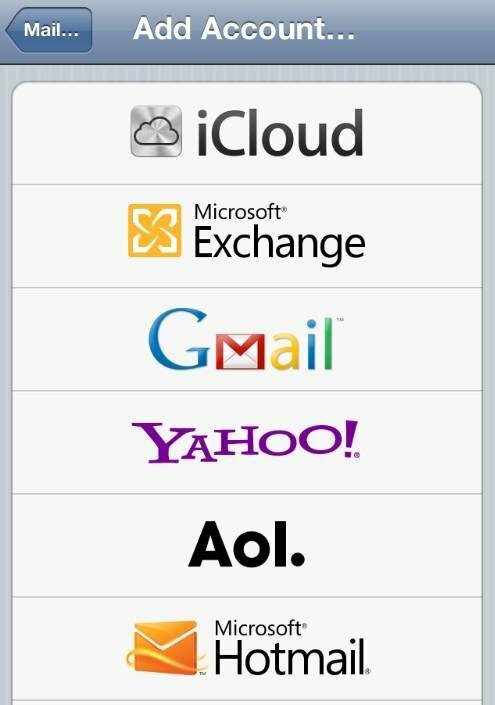 iPhone configuration in order to access their Office 365 mailboxes. While the process is not difficult, the procedure is not completely intuitive either. If your users need to connect their iPhones to an Exchange Server mailbox hosted on Office 365, there are several things you need to know. Figure 1. 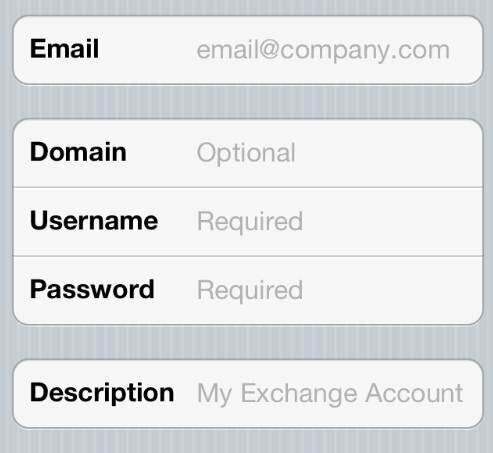 Tap the Microsoft Exchange option to begin the iPhone and Office 365 mailbox synchronization process. In many instances it's possible to configure an iPhone to access an Office 365 mailbox as you would any other email account. In many cases however, you must look up the name of the server the Exchange mailbox is hosted on. In either case, the procedure starts the same way. Turn on the iPhone and tap Settings -> Mail, Contacts, Calendars -> Add Account (Figure 1). The iPhone will ask which type of email account you'd like to add. Tap the Microsoft Exchange option. Figure 2. Enter the user's email address as well as his Office 365 username and password. On the next screen, enter the user's Microsoft Office 365 credentials (Figure 2). 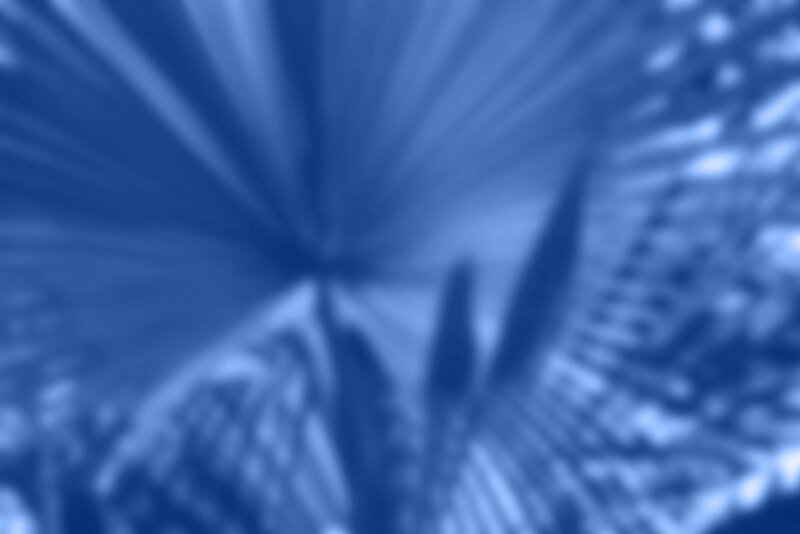 Enter the user's email address, username and password, but leave the Domain field blank. Figure 3. Make sure to remember the Exchange Server's server name. At this point, the iPhone should automatically locate the settings it needs in order to connect to the Office 365 mailbox. If it does not, the settings must be configured manually. Before continuing with the iPhone configuration, you must look up your Office 365 email settings. To do so, log into Office 365 using a Web browser and click the Outlook link to access Outlook Web App. Next, click on Options -> See All Options. Click the Account tab, then the My Account icon. 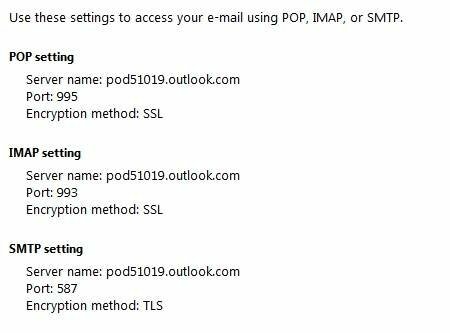 Finally, click on the Settings for POP, IMAP, and SMTP Access link. The resulting dialog box (Figure 3) displays the Exchange Server's server name. Be sure to make a note of this name. Enter the server name into the iPhone's Server field and tap Next. You will now be prompted to select the type of information to synchronize to the iPhone. Mail, contacts and calendar entries are synchronized by default. Tap Save to begin the synchronization process. As you can see, tweaking an iPhone's configuration to access an Office 365 mailbox is a fairly straightforward process. That said, Microsoft's Email conversation grouping feature can cause iPhone users grief. The iPhone does support email conversation grouping, but Microsoft and Apple call the feature by two different names. Microsoft calls message chains "conversations," while Apple calls them "threads." Some iPhone users have reported mismatch issues regarding how Office 365 is configured and how their iPhones are configured when it comes to turning conversations on or off. The iPhone can actually get confused and end up deleting all of the messages in a conversation thread the next time that the phone synchronizes with Office 365. If your users have conversations enabled in Office 365, make sure that the thread feature is also enabled on their iPhones. Similarly, if you disable the thread feature on your users' iPhones, you should turn off the conversation feature in Office 365 as well. ABOUT THE AUTHOR: Brien Posey is an eight-time Microsoft MVP with two decades of IT experience. Before becoming a freelance technical writer, Brien worked as a CIO at a national chain of hospitals and health care facilities. He has also served as a network administrator for some of the nation’s largest insurance companies and for the Department of Defense at Fort Knox. Using the endpoint of m.outlook.com instead of the servername found in the options settings will quite often result in continued and robust connection. After the international news of "NSA backdoor access to the Public Cloud servers", no one with the right mind will put corporate Emails or data in the Public Cloud. NSA PRISM documentations shows Public Cloud servers / Office 365 servers have Backdoor Access. Public Cloud servers / Office 365 servers have Backdoor Access according NSA PRISM revelations. We have an Outlook mailbox that is giving an "orphaned mailbox" message. Any suggestions on correcting this?